MadRex Productions is a producing duo made up of Tanner Hendon and Wyatt Oates. The guys of MadRex are fans of all styles of music and love to blend genres and sounds to put a fresh, new twist on things. They are both multi-instrumentalist and have years of record making experience from both sides of the glass. The duo has also worked with top producers such as Steve Morales (Cristina Aguilara), E-Man (Selena Gomez), and legendary Dallas Austin. MadRex can do every step of the production process from tracking to mixing to mastering. Tanner Hendon found a love for music early in his life, learning to play drums, guitar, bass, and keys at the age of 10. He started playing drums in various original acts who toured the country with acts including Almost Kings, Tantric, Rehab, and Velvet Revolver. His bands also worked with producers such as Wyatt Oates, Dan Hannon, and the legendary Dallas Austin. 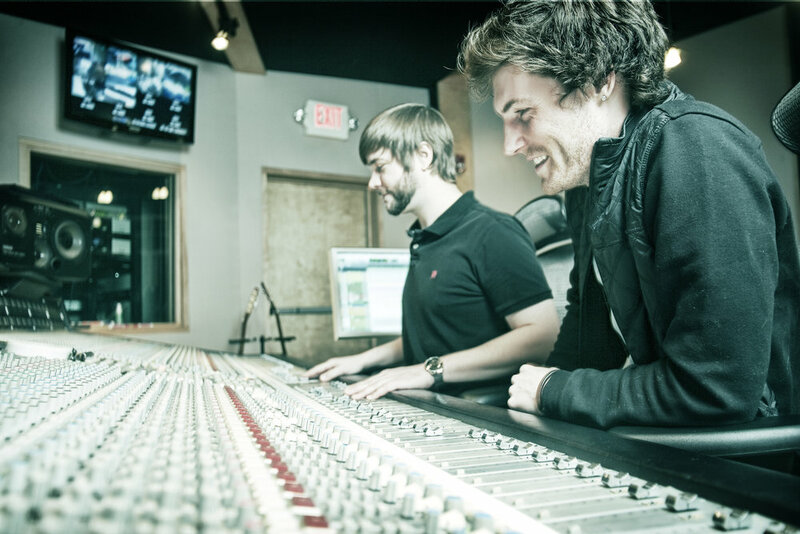 At age 19, Tanner acquired the studio formally known as Exocet Studios in Chamblee, Ga, and renamed it Madison Studios. He partnered up with Wyatt Oates and together they formed MadRex Productions and began producing artists out of the new studio. Tanner then formed a record label called Madison Records and began signing and developing artists of all genres. The label released it's first releases in 2016 and have been growing ever since. In addition to running the label, Tanner continues to produce and play out live with various artists including Paul Rodgers (Bad Company), Ed and Dean Roland (Collective Soul), Night Ranger, Chelsea Shag, and The Stir, and more. Wyatt Oates started playing guitar and bass at the early age of 14. He soon joined numerous bands and developed a passion for writing and recording songs. Wyatt eventually went on to attend Full Sail University, graduating in 2004 with honors and an Associate of Science Degree in Recording Arts. He quickly found a home at Tree Sound Studios in Atlanta, GA and rapidly worked his way up to Senior Producer/Engineer. He worked side by side with such producers as Andre Benjamin, Ed Roland, Brian Michael Cox, Jazze Pha, David Tickle, Shawn Garrett and many more (see client list). During this time, Wyatt worked with Tanner Hendon and recorded his band Modern Paranoia. The two developed an immediate connection which later turned into forming their current production and writing team called MadRex Productions.